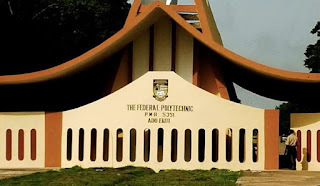 Federal Polytechnic, Ado-Ekiti (FEDPOLYADO) Full Time National Diploma [ND] Post-UTME Admission Screening Exercise for 2018/2019 Academic Session. [Cutoff Mark: 150], Eligibility and Application Guidelines. Application for screening and validation of credentials is hereby requested from interested candidates who wrote the 2018/2019 UTME and made Federal Polytechnic, Ado-Ekiti (FEDPOLYADO) their 1st Choice or Second Choice or are willing to change to Ilaro as their preferred Choice Institution. 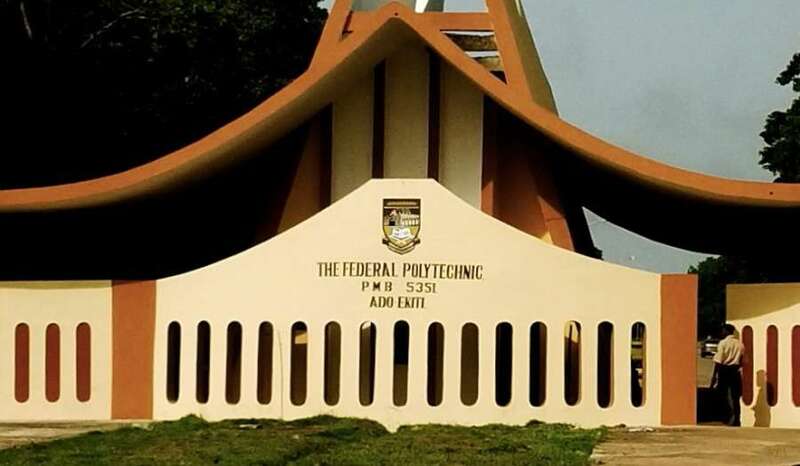 (i) All Candidates who chose The Federal Polytechnic, Ado-Ekiti as their First or Second Choice and obtained a minimum cut-off mark of 150 in the 2018/2019 UTME. In addition to the above, Candidates must possess five (5) O’ level subject requirements at Credit level in not more than two (2) sittings. (ii) Any Candidates who scored 150 and above in the last UTME but did not choose the Federal Polytechnic, Ado-Ekiti as either First or Second choice and are interested in changing their Institutions to the Federal Polytechnic, Ado-Ekiti can do so. Candidates are required to pay N2,000.00 (Two thousand naira only) as screening fee via the Remita platform. Candidates should visit the Polytechnic students’ portal via http://students.fedpolyado.edu.ng to generate and print application payment invoice. After printing invoice, candidates can proceed to any bank of their choice with the invoice generated invoice and make payment on the Remita platform. Candidates can also make payment with their debit cards (Master Card, Visa Card and Verve Card) following the instructions on the invoice generation page. After payment, candidates should revisit the Polytechnic students’ portal via http://students.fedpolyado.edu.ng and fill the application form using the RRR number on the payment invoice (slip). Deadline: Monday, 24th September, 2018. The Screening exercise will not require physical presence of Candidates on The Federal Polytechnic, Ado-Ekiti Campus. EMAIL SUPPORT: helpdesk@fedpolyado.com or fikayo.fedpolyado@gmail.com or support@lloydant.com.